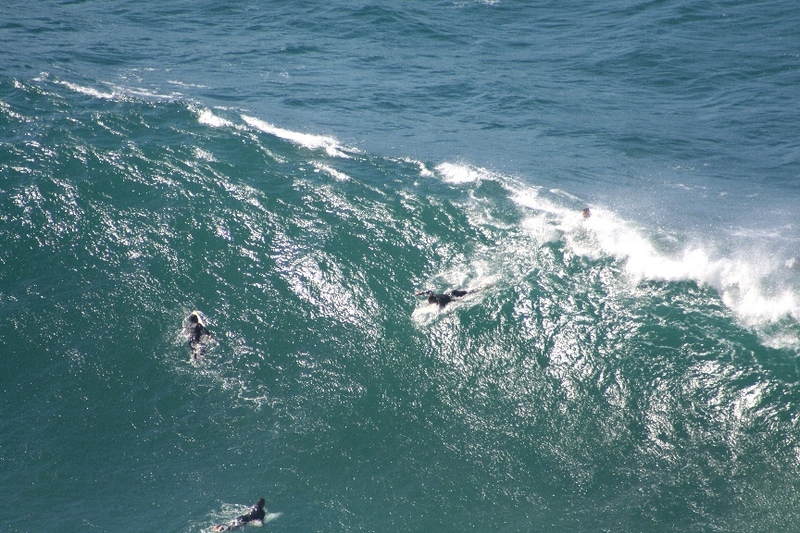 August 13th 2010 – the swell jacked up with a low pressure system and a stiff wind. Some hell men were out at Dudley. The next 3 photos courtesy of Geoff Connors. 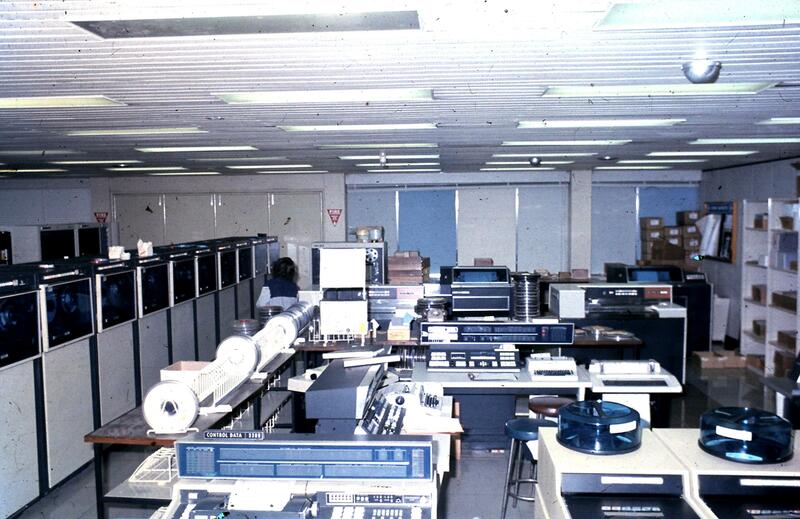 BHP Computer Room around 1976. This large room full of gizmos is equivalent to the last generation of laptops. 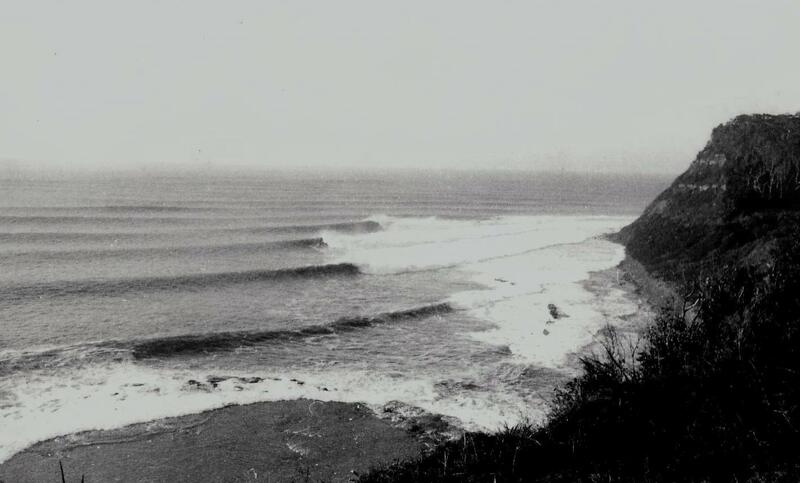 Storm Surf at Redhead in the mid 1970’s. 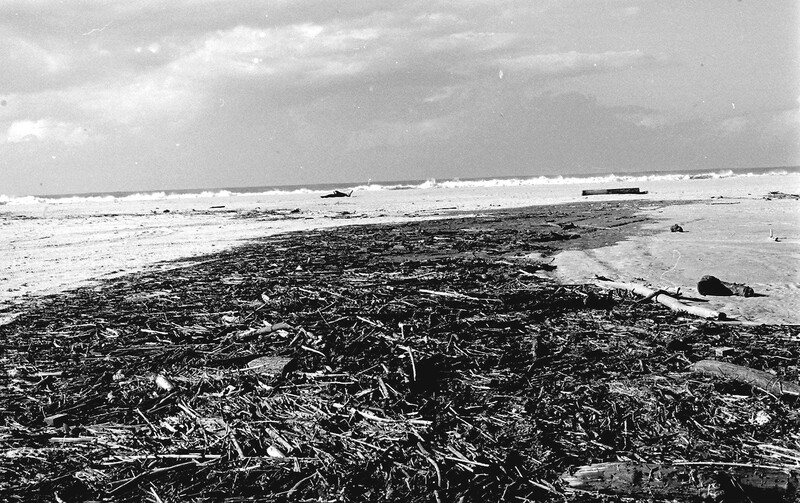 Heavy rain, flooding of the Hunter River and huge surf created this mess of flotsam and Jetsom near the first creek. 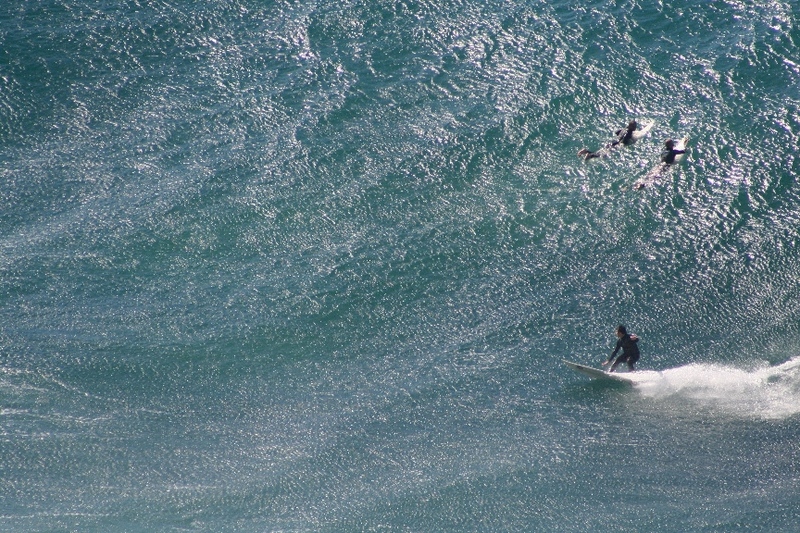 NSW SLSC Championships at Corrimal around 1978. This scantily clad and fit looking young lady onlooker caught the eye of Redhead’s boat crew. They asked me to go and take her photo and I said no, she would just tell me to piss off. Hard to say no to these blokes, as is evident from the next picture of them. So they picked me up camera bag and all and carried me armchair style to where she was sitting and dumped me in the sand at her feet. She willingly obliged to have her photo taken bemused by the proceedings. 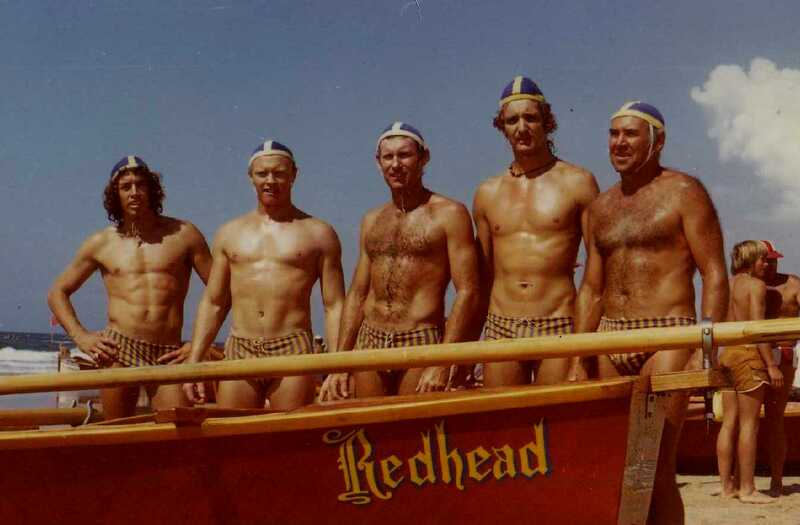 Redhead Boat Crew in 1978 at Corrimal Beach SLSC NSW Championships. A fit looking bunch, great blokes and not bad rowers. Strategic use of Boat Oars aye. 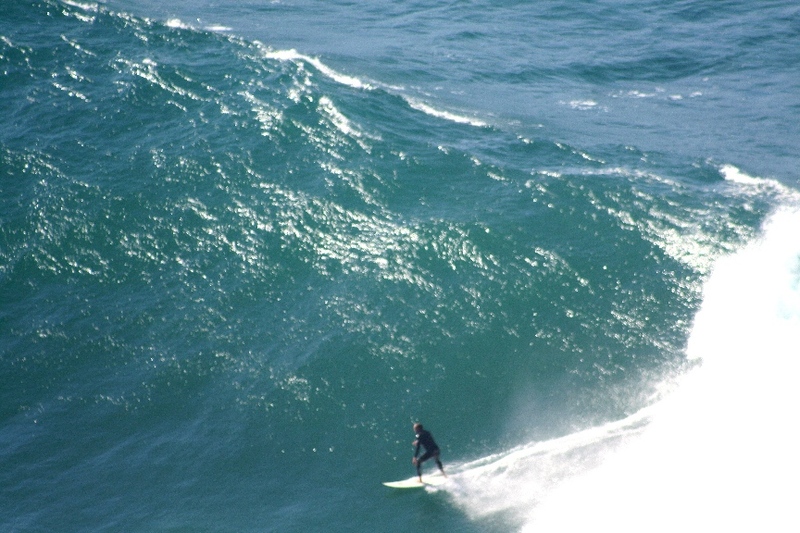 This entry was posted in Beach, Redhead, Surf by geoffcrow. Bookmark the permalink.